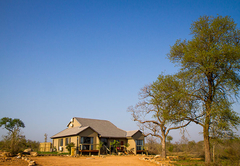 Mjejane Bush Camp is a Mpumalanga game lodge providing a wildlife experience for tourists visiting Wild Frontier. 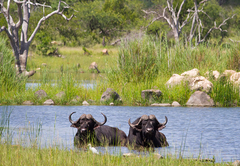 Mjejane Bush Camp offers comfortable accommodation in Hectorspruit for more that 200 guests. 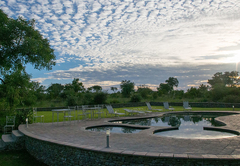 Situated next to the Crocodile River, this 4000 hectare reserve is within the Kruger National Park. 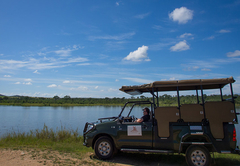 Here there are many activities to do such as game drives and bird watching. 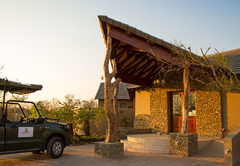 Mjejane Bush Camp offers various types of lodges; each with a fully equipped kitchen and large swimming pool. 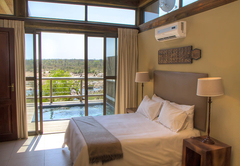 This unit sleeps up to 10 guests each. 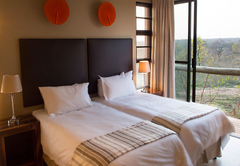 There are four air-conditioned bedrooms, each with an en-suite bathroom. 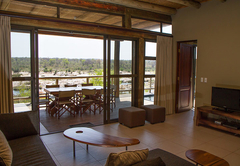 The bedrooms lead out onto the deck and boasts panoramic views of the crocodile river. 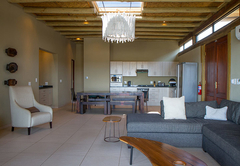 There is an open plan living area and a dining room. 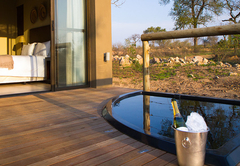 There is a braai / BBQ area outside. 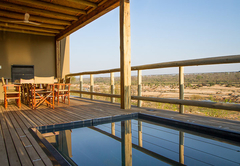 This three bedroom lodge sleeps up to eight guests and has three en-suite bathrooms. 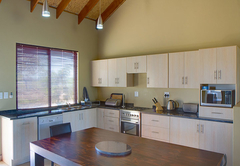 The living area has a sleeper couch and a dining area. 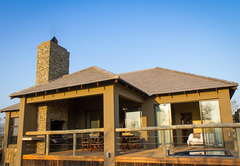 The outside area has braai / BBQ facilities. 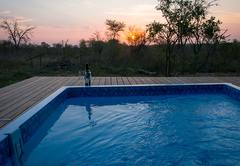 The two bedroom lodges are furnished with a King-size bed and two single beds; the main bedroom includes a splash pool. 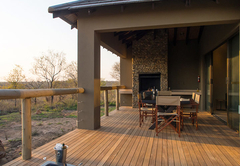 The deck boasts views of the area. 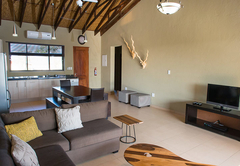 This two bedroom lodge sleeps up to six guests and has a King-size bed as well as two single beds and a double sleeper couch in the living area. There are braai / BBQ facilities outside. 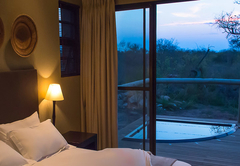 Sleeping up to four guests in a one bedroom lodge. 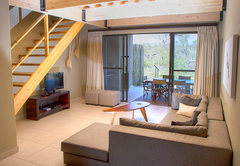 There is an en-suite bathroom and a sleeper couch in the lounge. Response timeMjejane Bush Camp typically responds to requests in 5-10 minutes.